As a physician assistant, you’ll have a rich and rewarding career, as well as being in a position to improve the lives of countless patients. But first, you have to make it through PA school! Set out on your journey as a PA and lifelong learner. 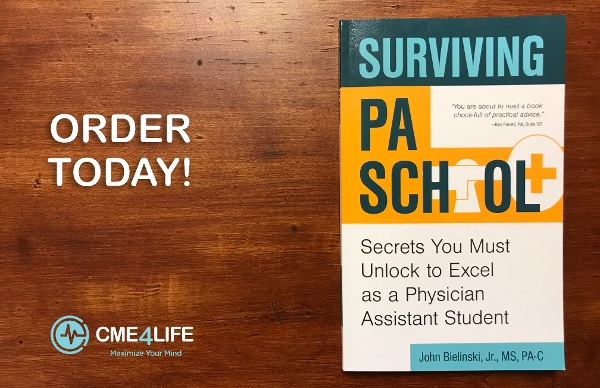 Your next two years will be challenging, jam-packed, and sometimes exhausting – but with Surviving PA School, you’ll get what you need to succeed and fulfill your potential. John Bielinski PA-C (right) helps attendees understand complex topics for their board review. John holds a masters in emergency and family medicine and works as a PA in Western New York. He founded CME4LIFE after growing frustrated by conferences and learning tools that failed to engage learners. His unique powerful approach weaves together storytelling, memorable mnemonics, audience participation, and critical thinking into the most effective learning system out there. After high school, feeling unprepared for college, John joined the United States Marine Corps and was soon deployed to Operation Desert Storm. John’s job was to quickly and accurately recognize armored vehicles in order to identify the enemy. Any mistake could mean the loss of American lives. John had to learn quickly and effectively. The military provided John with a unique learning tool- flashcards. One side of each card had a picture of the vehicle; the other side listed identifying features. John found himself learning quickly, and he’d remember what he’d learned. This strategy would serve as the basis for John’s future teaching methods, designed to reach students of divers learning styles. 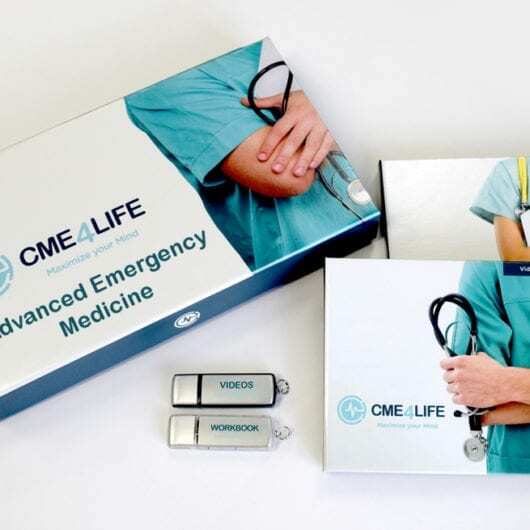 John founded CME4LIFE, a continuing medical education company, using his unique approach – “Active Engagement Learning” – weaves together storytelling, song and dance, memorable mnemonics, audience participation, and an emphasis on critical thinking, making CME4LIFE’s products more engaging and effective than anything else out there.